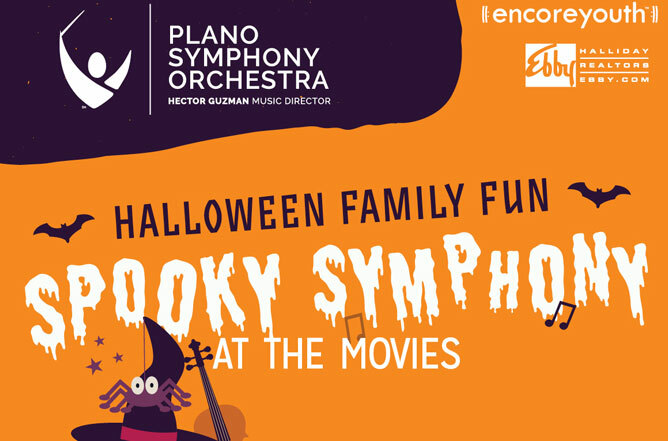 Spooky Symphony at the Movies – On sale now! Come join The Plano Symphony for an afternoon of family entertainment. Everyone is sure to enjoy this high energy and creative concert! The program is designed especially for children ages 3 – 12 and their families. This interactive concert features notable melodies from “Star Wars,” “Pirates of the Caribbean,” “Harry Potter,” and more! Come out at 2:15pm and enjoy the Instrument Petting Zoo, the conductor’s station, and arts and crafts. Don’t forget to wear your costume! Scouts can earn the Plano Symphony Orchestra STEAM patch while attending the concert by completing the activities available from 2-3pm in the lobby prior to the concert. **Any groups of 10 or more, please contact the Box Office at 972-473-7262 ext. 0 to purchase tickets. Mariachi Los Camperos – On Sale now! The Plano Symphony’s EncoreYouth education programs, including School Concerts, Collin County Young Artists Competition, Instrumental Petting Zoo and more, touch the lives of over 40,000 youth annually. Are rehearsals open to the public? A select number of rehearsals are open to the public during the season. Please call the office at 972-473-7262 for further information. Late arrivals to concerts will be seated at the first appropriate seating break in consideration of the performers and other patrons. Ushers are always at hand to assist you. Most audience members attend concerts in business casual attire. Wear what makes you comfortable. You should applaud whenever you are moved to do so. Musicians love your support. Our Family Symphony Sundays are concerts created specifically for children 3 to 10, and we strongly encourage you to attend them with your child. For all other concerts, please consider your child’s ability to enjoy a concert with other audience members.